Hear guitarist Han-earl Park push and pull on the guitar-amplifier dancing partners, Dominic Lash and his double bass damage hanging artwork, Mark Sanders excavate caverns in the smallest spaces for his percussion, and Caroline Pugh sing the lines that border the intelligible and the cryptic. 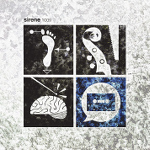 Sirene 1009 features guitarist Han-earl Park who has performed with some of the best improvisers from the Americas, Asia and Europe. He is part of ensembles including the London-based Mathilde 253 with Charles Hayward and Ian Smith, the New York-based Eris 136199 with Nick Didkovsky and Catherine Sikora, and the Berlin-based Numbers with Richard Barrett. 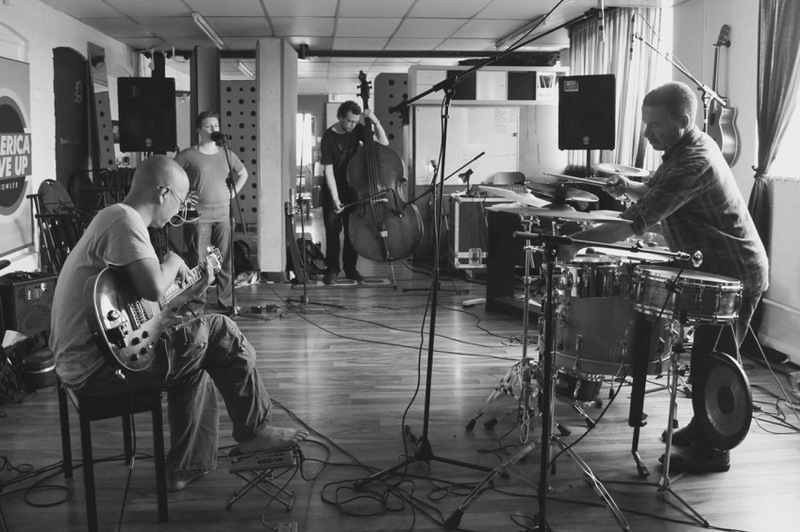 The molten, musical core of the ensemble comprises the virtuosic bassist, composer and sound artist Dominic Lash, and Mark Sanders, arguably the most sought-after avant-jazz and free improvisation drummer of his generation. During the Culture Ireland funded tour of England in 2015, Belfast-based experimental folk singer and electronics performer Caroline Pugh joined Sirene 1009, bringing an additional layer of levity and exuberance to the already playful interactions of the trio. Dominic Lash (dominiclash.blogspot.com) is a freely improvising double bassist, although his activities also range much more widely and include playing bass guitar and other instruments; both writing and performing composed music; and writing about music and various other subjects. Mark Sanders (www.marksanders.me.uk) has played with many renowned musicians from around the world including Evan Parker, Peter Brotzmann, Derek Bailey, Myra Melford, Paul Rogers, Henry Grimes, Roswell Rudd, Okkyung Lee, Barry Guy, Tim Berne, Otomo Yoshihide, Luc Ex, Ken Vandermark, Sidsel Endresen and Jean Francois Pauvrois, in duo and quartets with Wadada Leo Smith and trios with Charles Gayle with Sirone and William Parker. Scottish vocalist and composer Caroline Pugh (www.www.facebook.com/Caroline-Pugh-192972190763663) borrows old-fangled technologies and honours oral histories to create new performances. With a background in both folk and improvisation, her solo works You’ve Probably Heard These Songs Before, Timing By Ear, Measuring By Hand and Platform Audio also draw on performance art and pinhole photography.